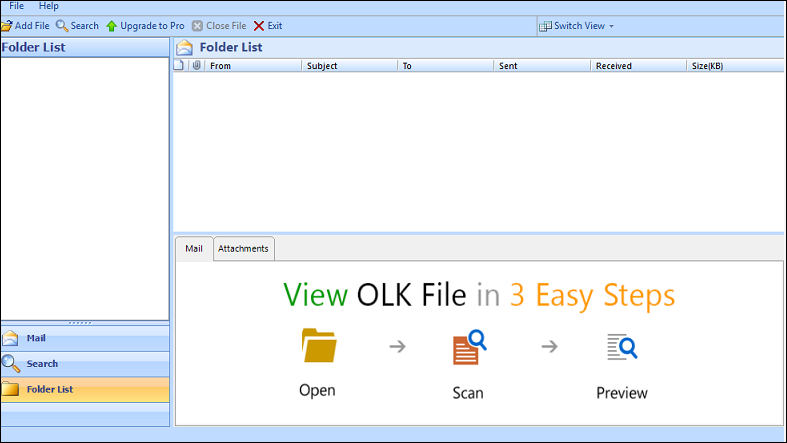 The OLK14Message Viewer is specially designed to open & read OLK file of Mac Outlook 2011. One just needs to extract the OLK file from Outlook in compressed form i.e. DMG file. After that, a user can easily open it on Windows platform using this software. In addition, the tool supports .dmg file also. Another impressive feature about this OLK file viewer is that it provides two different modes to view OLK14Message file. One is File mode that is used when a user wants to view the single file at a time. Another is Folder mode that a user can use to open and view multiple OLK file at a time by browsing Main Identity folder on the local machine. With the help of this OLK File Opener, it becomes really easy for a user to open and view any number of OLK file. In order to make it more convenient for a user, an inbuilt search option is provided to search and explore particular OLK file. In addition, one can search by specifying any criteria such as by subject, date, to, from, etc. After loading OLK file or DMG file in the OLK file reader software, one is allowed to sort files first by date, subject, and size according to their choice. 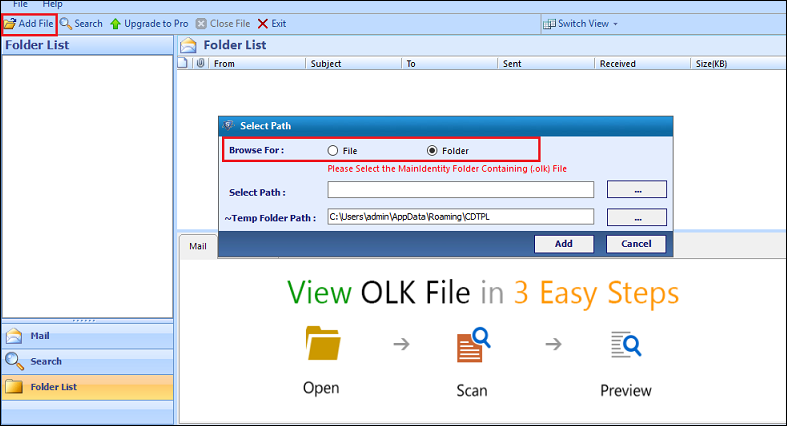 This option will help users in viewing OLK file in any respective manner they want. Apart from this, the tool maintains the integrity and original formatting of OLK file data. Is it possible to view OLK file of Mac Outlook 2011 on Windows OS? Yes, with the help of this OLK14Message Viewer, one can easily view Mac Outlook OLK file on Windows platform also. Does the OLK file opener maintain the integrity of OLK file data? Yes, after loading OLK file, the software maintains data integrity and original formatting of data items stored in it. Is this OLK file reader is completely free of cost to download? Yes, the tool is totally free of cost. One can easily download it from our official website. Can I view multiple OLK14Message files at a time using this OLK file viewer? Yes, with the help of this OLK file reader, one can view multiple OLK files at once also by choosing Folder Mode. Is it necessary to Outlook 2011 installed on the machine to open OLK file? No, there is no need to have Mac Outlook 2011 environment to open OLK file in this software. File Mode: Allows users to view OLK file from compressed DMG file. Folder Mode: Allows users to read OLK file directly from Main Identity folder. As loading process completes, the software permits users to read OLK file incorporated in DMG file. 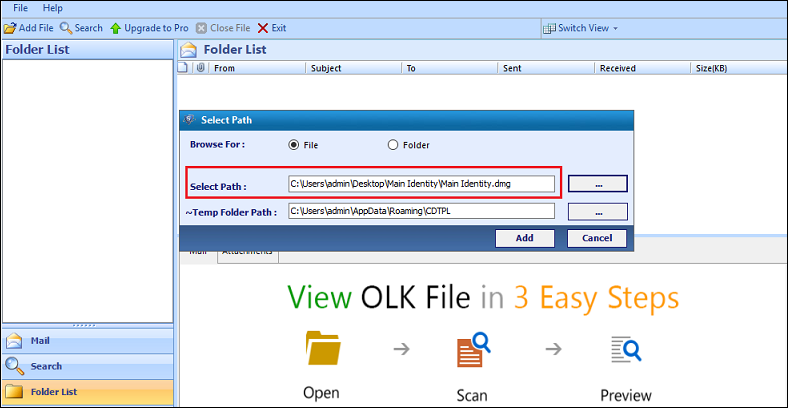 After loading the complete folder, one can easily view OLK file maintained in Main Identity folder. "There are 14 OLK files on my system and I am not having Mac Outlook 2011 on my system. Therefore, it is really difficult for me to open & view OLK file on Windows OS. After a long search, I came to know about this OLK viewer that is completely free of cost. The tool has such an easy user interface that I can view OLK files on a Windows platform in a very convenient way. Thanks to the developers for solving my problem in a very simple way. Great Work!!." 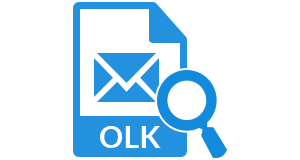 "The most attractive feature about this OLK file viewer is that it provides a search option with OLK files. This feature helps in finding right file between 50 files. I found this tool really amazing to view OLK file. Thanks to OLK file opener for saving my lots of time with such a great features. Hats off to the developers. "